God casts the Spirit of His Order on whomsoever He wills of His worshipers. The elect divine messengers and prophets who were gifted with the precious gift of pure self-surrender to the Absolute, were also gifted with the healing energy which gushed forth from the energy of pure love and unconditional compassion, metta, being rahmatul lil alamin (mercy to all creation). Ibrahim Jaffe, a contemporary energy healer in Sufi way and American representative of Shadhili sufi order once said: "To heal is to become one with Deep Love of God". Healing is an innate ability within all human being as it is a Divine quality which human being share. But this ability just like any other ability among humans vary in degrees. Some are so gifted with healing ability that people recognize them as natural healer while others are given the ability of healing in transmission (as was the case of the disciples of Christ, certain disciples in sufi order) and others through their inner calling take upon this or perform healing out of compassion. Some healer don't even know their healing ability yet they help others to heal, thus they are saved from their ego-based claim since behind all healing is as-Shafi (the One Healer). Every elect divine messenger is gifted with a special gift, but more or less all of them had the ability to heal. 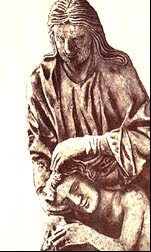 Christ is most known for his healing power whereas Prophet Muhammad, upon them both be peace, is also recorded to heal. Apart from special spiritual blessing, Prophet also encouraged to use medicine because medicine is also part of blessing of God through which healing happens. 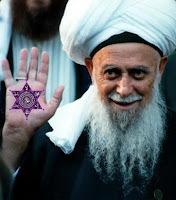 Sufi masters from ancient time to until present time have have always been blessed with the key to energy healing. One of the related sufi term is known as 'tawajjuh", meaning and implying - to face with intent or intention, to pay attention to or send energy (or love) towards. It is noted in many treatises that this power was bestowed upon sufi masters and their empowered representatives and there was no mystery that it was a dispensation from the Divine; like what was given to beloved Jesus, upon him peace. The dynamics of this marvelous phenomenon are still very much alive in many sufi orders. Few months back I came across this journal paper by two prominent researcher in the medical field, Howard Hall, PhD, PsyD (Case Medical School, Cleveland, OH) and Gary E. Schwartz, PhD (Univ of Arizona, Tuscon, AZ). The paper is titled, "Rapid Wound Healing: A Sufi Perspective", published in the 'Seminars of Integrative Medicine', where they featured an ancient sufi mystical school of Baghdad which still in modern days guard a remarkable ability to heal. Researchers report that such extraordinary abilities are accessible to anyone and not restricted to only a few talented individuals who have spent years in special training. These unusual healing phenomena have also been reproduced under controlled laboratory conditions and are in no way similar to hypnosis. In 1998, the first author of the paper traveled to Baghdad with an invitation from the contemporary Shaikh, Muhammad al-Casnazani of the Tariqa Casnazaniyyah School of Sufism. He then directly witnessed a group demonstration of this rapid wound healing ability there. The process was videotaped professionally and the scientist mentions, "what he witnessed and recorded was consistent with the extraordinary claims made by this group of rapid wound healing and no apparent pain". insertion or removal of the metal object. The scientist and author of this paper was so impressed by the ability to heal, he himself took initiation in the tariqa (sufi path) by taking hand with the teacher in the sufi tradition later in mid 2000 and was given a permission (ijaza) to perform the healing as well. After this he himself demonstrated the healing in a number of meeting of scientist including 2001 World Congress on Complementary Therapies in Medicine in Washington, DC., Fifth World Congress on Qigong in 2002. One of the remarkable feature of sufi healing is the transmission of energy from a qualified guide in the path himself is connected through chain of transmission and baraka to his earlier masters, all the way to the Prophet and eventually to God. The sufi healer never claim egoistic claim of himself or herself being the healer, but only become a medium / instrument of God Who is the Sole Healer. In the rapid wound healing, before the healing is performed, the healer is instructed to focus on connecting with the Shaikh, asking mentally for spiritual energy. The phenomena of this energy transmissoin was evaluated in the paper mentioned by Dr. Konstantin Korotkov, professor of physics at St. Petersburg State Technical University in Russia, on his Gas Discharge Visualization technique (GDV) which measures human energy fields like the earlier Kirlian photography. Dr. Korotkov first took a baseline measure of author’s energy field from his fingers and displayed the results on a screen for the audience. 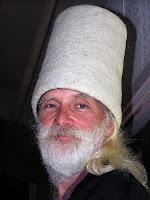 He then asked to invoke the Sufi energy. The healer again took about a minute and requested energy from the Shaikh for this demonstration. It should be noted that this energy reading was not planned by the healer nor had he obtained prior permission from the Shaikh for this energy. After about one minute the healer said he was ready for the second (after-energy) measure. Dr. Korotkov outwardly expressed surprise at how quickly the author had invoked energy. This time when he took the energy reading from his hand the computer malfunctioned and another one had to be brought in. After the new computer was in place, the GDV revealed a major increase in HH’s energy field after the quick one minute energy invocation. In the very paper, the concluding remarks are worth mentioning. sub-titled as, "Possible Sufism and Western Explanations of deliberately caused bodily damage (DCBD) and rapid wound healing"
How does Sufism explain how this can occur? Sufism can form a unified theory for mechanistic, mind/body, and spiritual healing. Traditional Islamic theology recognizes that Allah (God) created a world that can apparently operate under mechanistic/Newtonian principles. As noted in the Holy Qur’an (Surah 6:95-99), it states that “Allah (God) created order in this world causing seed to sprout, the rising and setting of the sun, rain to fall, etc. Such is the judgment and ordering of (Him) the exalted in Power, the Omniscient.” (6:96). This is consistent with the mechanistic Newtonian view of the world and humans. Thus, there is no rejection of mechanistic views from traditional Islamic philosophy. Sufi philosophy goes further, noting that mechanistic views can also be explained within a vitalistic perspective. From this point of view, Sufism can predict both mechanistic and energy based DCBD healing phenomena in ways that Newtonian models cannot explain. The goal of the Sufi and all spiritual paths is nearness to God. In Sufism this is done via following the Sufi path and practices and Jihad or struggling against the lower self or nafs. It is the lower self that keeps humans distant from God. Islam and Sufism is about surrendering to the will of God through following this path. Once near God, alterations of mechanistic laws may occur. This nearness to Allah is the explanation of so-called miracles performed within religious contexts of ancient times and today. Rapid wound healing is a very impressive phenomenon to observe and experience, but Islam and Sufism teach that one’s heart is the center of one’s being that becomes diseased (Surah: 5:52) and hardened (6:43) from wrong acts (sins). Sufism, however, offers healing for the heart as noted in the Quran: 10:57. “O mankind! There hath come to you a direction from your Lord and a healing for the (diseases) in your hearts - and for those who believe a guidance and a Mercy.” Thus, when the heart has been purified through jihad (striving and struggle to conscious awareness of God and His nearness), the nearness and true healing will occur. An Interview with Howard R. Hall, Ph.D., Psy.D. Dr. Hall holds a Ph.D. in Experimental Psychology from Princeton University and a Psy.D. in Clinical Psychology from Rutgers University. He has conducted research and taught courses in clinical and multicultural psychology as well as workshops on hypnosis, and he maintains a clinical practice utilizing hypnosis and mind-body/holistic approaches to healing at CWRU. Dr. Hall has also conducted pioneering work regarding the mind-body connection including the effects of hypnosis on immune responses, and is recognized as a leader in the field of Clinical Psychoneuroimmunology. and which of the Signs of God will you deny? by Thy all-sufficient Power of Healing. Ya Shafi - Ya Kafi - Ya Mafi. (O the Sole Healer - O the Sole Sufficiency - O the Sole Forgiver).